2. Click the PDF icon of the issue you want to export. 3. Click the Export New Version button and wait a couple of minutes. 4. 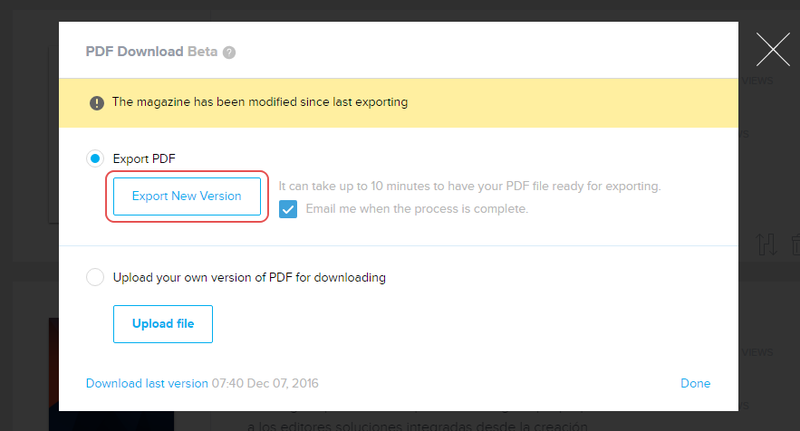 When the PDF file is ready to be downloaded, click the same PDF icon and download it by clicking the Download last version link.